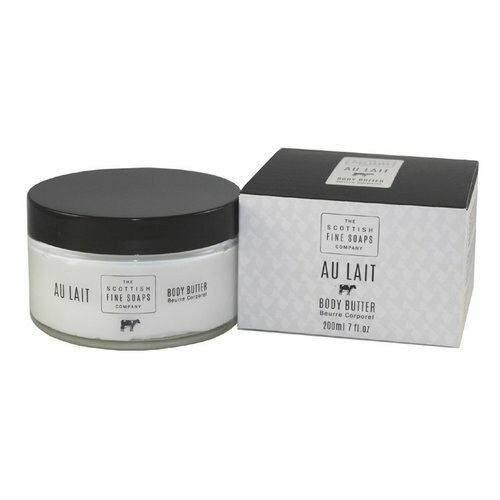 As the name indicates 'with milk,' the Au Lait collection blends the goodness of real milk to soften and caress your skin. A best-selling collection from the Scottish Fine Soaps Company. Leave your skin super soft and smooth with the Au Lait body butter, enriched with moisturizing cocoa butter.